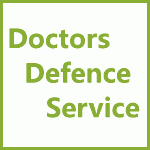 Affirmation in GMC MPTS Proceedings | Doctors Defence Service – UK. During a hearing, a witness who gives oral evidence will be asked to either swear an oath on a holy book, or swear an affirmation. The evidence a witness gives is given the same weight whether they swear and oath or affirm. A witness who gives evidence by telephone will be asked to give the affirmation.